Minor Hockey Goalie Sees the Puck, But Is It Too Late? So it’s time, again, to do a blogathon. 5 Posts. 5 days. Sort of like my writing group’s blog, 5 writers, 5 novels, 5 months. The topic… Hockey. Or more specifically, Langley minor hockey. Timbit hockey. McAtom hockey. So for the next 5 days, expect a post on the following topics. Things I’m doing differently. The first HUGE mistake I made this year. On why minor hockey STILL beats the NHL. On the joy of changerooms or something about fitting in. This is my 3rd year as a hockey parent. Somehow I’ve survived. Oh, I’ve forgotten things, gone to the wrong arena on occasion, and called someone by the wrong name for a whole season. But, hey, I managed not to get into any hockey-parent fights and I didn’t miss a single game in 2+ years. So I thought this year I’d take a look at what’s different, from a parent’s point of view, since, you know, that’s pretty much the only legitimate point of view I can write about. One of the 200 water bottles I’ve bought over the years. Gatorade FTW! I don’t stress when I’ve forgotten something. 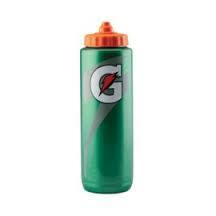 Usually the water bottle. I have a strange relationship with that thing. I’m pretty damn good about remembering the jersey, the pads, the protectors, the jock shorts, the epic-size goalie jock (which in adult league would be just be bragging) and all the other pieces of goalie equipment, but that bottle has a blind spot in my brain. I think it gets constantly pushed out when I store more amazing facts about the new Star Wars movie, but whatever. I forget it. So what? I can buy a bottle of water. I can go home and get one. No worries. Happens all the time. 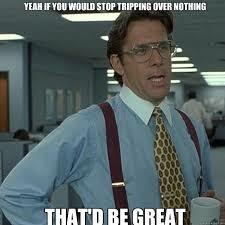 To everyone. No more stress. 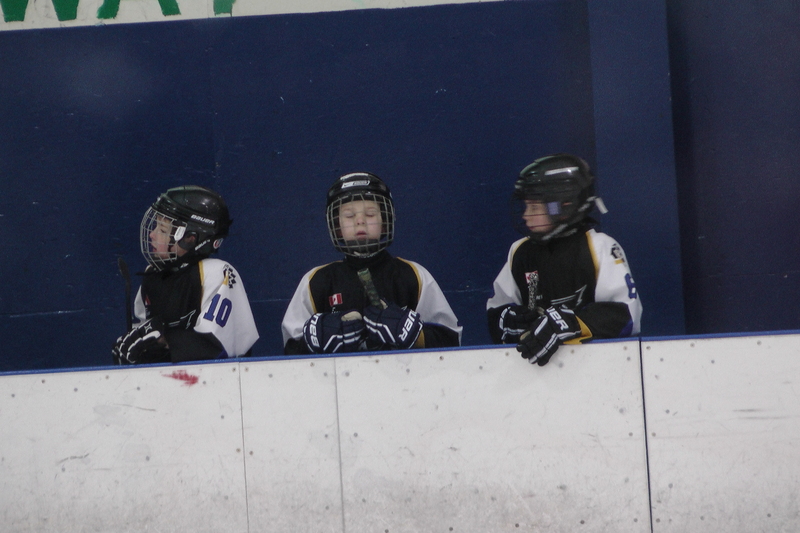 Yes, I even took pictures of The Youngest on the bench. I don’t take 2 million pictures a game. Oh, look there’s The Youngest drinking water with his helmet up! Click. Click. Click. Oh look, he’s scratching himself! Click, click. Click. Oh, wow, he’s fallen down. *set to video and shoot*. Nope. No more. It’s like you take a thousand pictures of your first child eating at the age of 1, but can you find a single one of the second child? And the third, they’re lucky if they get their picture taken at grad. Sadly, the newness – the amazingness – has worn off. I just sit in the stands and drink with all the other parents. I am not his coach. Or his goalie guide. It’s taken me 2 years to shut the hell up and stop telling him what he has to do. I mean, what the hell do I really know? I never played goal outside of street hockey. At best, I can watch what they tell him to do and parrot it back. However, I won’t lie, I’ll miss pretending to be Joe-know-it-all. I’m no longer getting The Youngest dressed. You have no idea how painful this is in the beginning. It’s like watching molasses climb up a hill. In the middle of winter. But as The Youngest gets older, he has to learn to put on his equipment by himself. 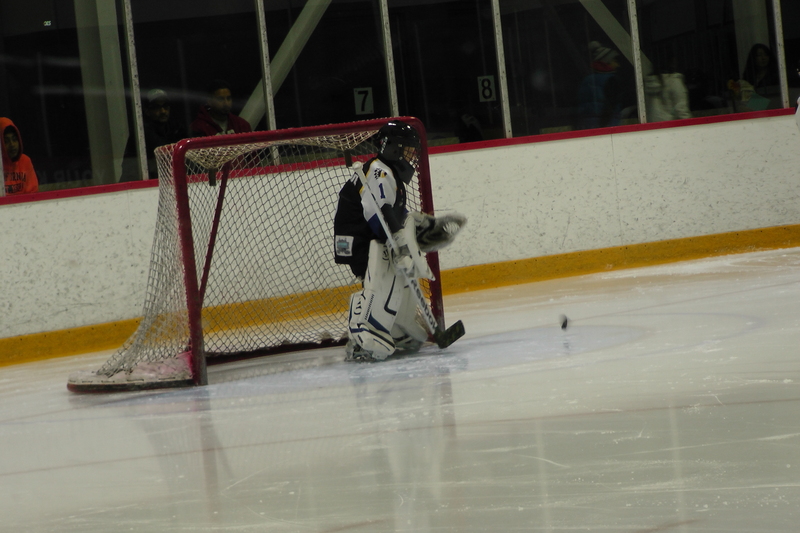 He has to learn to tie his laces to his pads, to tie up his skates, to struggle into his chest protector and jersey. To be fair, he’s not yet strong enough to do up his skates so that they’re tight, but the rest, yeah, that’s on him now. It took 90 minutes the first time. And a lot of complaining and begging. Now he has it down to 40 minutes, though the complaining and begging persists. But that, too, will end and by next year, he’ll be alone in that room, sadly, no longer needing anyone in there to help him. This may or may not be a ‘meme’. I’m still trying to sort it out. I don’t trip on the rubber floors of the arena any more. You have no idea how hard this is NOT to do. They’re all uneven and dark and rubbery and sticky, and every so often, there’s a part that’s just poking out the right amount to catch the front of my shoe. Then I do an epic stumble, timmy’s double-double flying everywhere as I pirouette like a drunken ballerina and try not to fall into the arms of one of the moms. The secret to not tripping, I’ve learned, is to go slow, (like you’re 90 or something.) So if you ever see me shuffling around the arena like I look like I need a walker, that’s why. So, yeah, hockey season starts, again, but this year’ll be different! 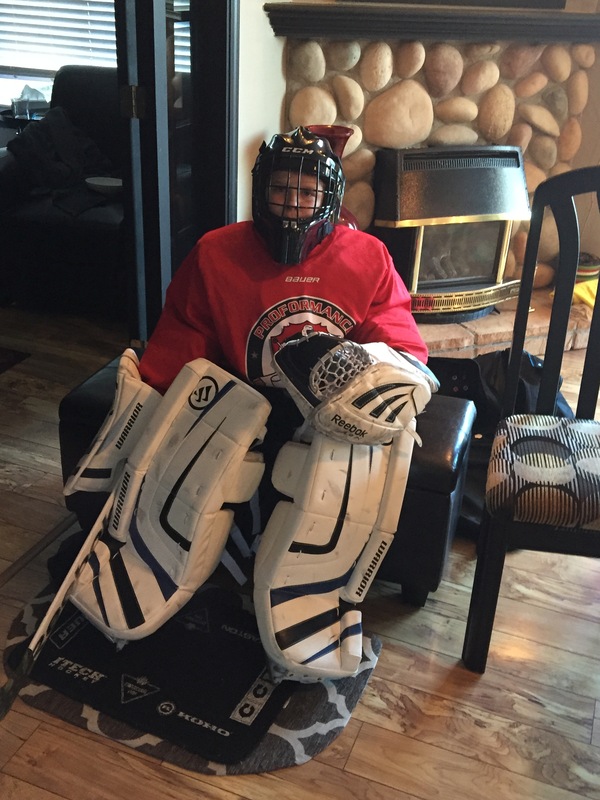 This entry was posted in Hockey Life, Parenting, Stepdad and tagged atom, ballerina, gatorade, goalie, goalie gear, hockey, humor, humour, langley, mcAtom, meme, Minor Hockey, pads, rubber floors, skates, step-dad, that would be great, the youngest, timbits, timmy's, water bottles. Bookmark the permalink.